Flagship Merchant Services, provided by reseller Paysafe (formerly known as iPayment) is a full-service point-of-sale solution that gives you immediate access to more than 200 free and paid apps. Delivered through an integrated platform Paysafe has connected businesses and consumers over 200 pay types in over 40 currencies. Flagship Merchant Services, provided by the reseller Paysafe, strives to provide businesses and consumers with seamless transactions and processing solutions. 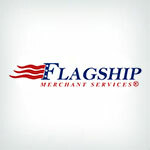 Flagship Merchant Services is a leading reseller of Clover, which is one of the fastest growing suites of point-of-sale business transaction systems to accept cards. There's no early termination fee, pci compliance fee, and is great for payment processing. There are account representatives available as well to assist with customer. Clover Station: Clover Station is a full service point-of-sale solution that gives customers immediate access to more than 200 free and paid apps. It provides assistance with everything from scheduling, tracking, and accounting to check acceptance, mobile ordering, and more. Clover Station is preloaded with Register POS software that enables customers to manage inventory, stay on top of orders (modify, combine and exchange), and track item-level profitability. Additionally, it is fully secure and PCI compliant. The Clover Station has a 11.6-inch swivel touch-screen display, a high-resolution camera for QR code and barcode scanning, and four USB ports for peripheral connectivity. Clover Mini: Clover Mini is an all-in-one solution that provides businesses with a choice between a free basic payment acceptance solution or a paid upgrade to Register Lite (inventory management, limited access to Clover App Market, and item level taxes) or Register (complete business management solution with enhanced inventory, order management, and full access to the Clover App Market). Clover Mini features an integrated thermal receipt printer, WiFi/3G connectivity, 7-inch touch screen display, barcode scanner/camera, and acceptance of any payment type: swipt, EMV®, or contactless. Clover Flex: Clover Flex gives merchants the flexibility to take payments anywhere at any time. Clover Flex also serves as both a countertop and handheld device; it accepts EMV, PIN, contactless, and swipe payments. Additionally, Clover Flex is e-signature capable and has an embedded printer, camera, and QR scanner. It’s also WiFi/3G enabled and is fully integrated with the complete line of Clover devices. Like Clover Mini, customers may choose between different software options. Clover Mobile: A great option for stand-alone use as well as tethered to a Station or Mini, Clover Mobile is fully portable. Clover Mobile has many of the same features as Clover Mini and Clover Flex, including software flexibility; a 7-inch touchscreen; and swipe, EMV, and contactless payment acceptance. Paysafe's sales team can help customers choose the Clover or traditional payment solution that is right for their business. Paysafe offers merchants month-to-month agreements for upfront Clover equipment purchases. However, there are also various Clover-based promotional offers, including discounts on Clover Station and a free Clover Mini. Some offers carry requirements like a 3-year agreement or early termination fees. The Clover offers credit card processing, merchant account and customer service for small businesses. In addition to the credit card processing, they also have tiered pricing on their total merchant services, which is beneficial. With no application fee or cancellation fee, it is cost effective. There is a monthly fee. For most payment gateways, there is a termination fee, so this is something to keep in mind. Those who purchase Clover through Paysafe can take advantage of its free, proprietary customer engagement portal, iAccess. This service gives businesses 24/7 access to daily, weekly, and monthly sales information, batch information, chargebacks, statements, industry and general business management content, and special promotions. Customers can set up email and/or text alerts through iAccess to notify them about important activities. Though it depends on which reseller the consumer goes to, there is not much helpful blog content on Flagship Merchant Services provided by reseller Paysafe. Blogs allow potential customers to research extra information about a product or service before purchasing. Without a blog, some merchant account customers may look elsewhere for additional information. Additionally, once a customer buys a Clover POS system from Paysafe, there are some basic functionality features that can only be accessed by purchasing apps, which can become expensive. The Clover Suite includes four different products which adequately cover the basic POS needs of most small- and medium-sized businesses. Though Flagship Merchant Services provided by Paysafe does not have a blog for curious customers, its robust suite of products and vast app marketplace give customers plenty to work with. If you are thinking about buying a Clover Suite product, consider purchasing through Paysafe. Not only do you get the benefit of having Clover’s app marketplace, but you also get access to Paysafe customer engagement portal. Be sure to read our Flagship Merchant Service Reviews as well to see what customers have to say. *The CLOVER name and logo are trademarks owned by Clover Network, Inc., a wholly owned subsidiary of First Data Corporation, and registered or used in the U.S. and many foreign countries. I use a Flagship credit card reader for my home business. They have the cheapest rates and offer good customer service when I call in with a question. Clover has a great reputation, but I have not had the pleasure of using it yet. My vendor shipped the wrong model, and I waiting for them to replace it. Easy to use and great customer support . Looks more professional than square. I like giving a paper receipt. The initial contact was great but once I signed on the dotted line, service went south. I'm not sure what is going on and I understand that sometimes things happen. But I can't seem to get the answers I need and I will not be using any equipment until I am certain that what was agreed upon originaly is what is really what I'm getting. Works well and quickly. Easy for my employees to understand. However, the printer prints out too low on the front and curls underneath the Flex making it difficult and unwieldly to tear the receipt off. The Foex easily slips off the charger just far enough to not charge but the user thinks it's still charging. I had to wait a LOOONG time on the phone for assistance. Easiest, fastest, and most accurate P.O.S. ever!! The clover station is a really good POS. It very simple for small business. There are aps you can download to help you manage your employees. No stylus for machine. Spent $75 finding one the customers could regularly use. Best device and service a round! Took forever to even try to get it and once I was approved, I had to jump through more hoops and it was a nightmare. Customer service didn't make me aware of all the steps necessary to get it set up, so unfortunately i was unable to use the device at my sale. Needs to be able to have pictures on the screen - and in inventory. I love the machine and the call me button especially when having questions they do have great customer service. System is easy to use and customer service is always available. Ease of use, easy set up, nice and compact. It's incomplete especially reporting - need improvement on software itself - it's has bug printing problem, freezing and sometimes need to reset. We love the clover mini and are pleased with the service. Clover is Great! I was told that it would met all my needs as a Point of Sales System. #1 It doesn't offer invoices, which I was told it would have. #2 It doesn't work for Sales & Service Small Repair Shop at all. It is designed for restruants. Small easy convient. Does inventory tracking also, but Customer service is the worst! Once they get you to buy it, trying to get a response from them is impossible!! Easy set up, Easy to customize, Fast processing. We have had a great experience with Clover. The terminal is very user friendly and efficient and the customer support is fantastic. It works fine for what we need it and has given us no problems. There are a lot of free apps to use. Just okay not really worth the money. Scanner hardly ever works. Custom key won't allow you to give it a name. Customer service takes forever to help - then they are rude. I needed something mobile that I could take to a client's house and pull it out if I needed to. That way I could take everything off my personal cellphone and have it be separate from that. I think it's really awesome. I've gotten so many compliments from my clients and I've told a couple of small businesses about them too. It can read cards, do gift cards, etc. We can even use it for accounting to keep track of cash and checks. Every time I have a question or anything, I can just call them up and they answer immediately and fix my problems. Everything has worked out great. The only problem I ever had with it was when I went to a house and didn't have reception. I had to run the card anyways and the charge came out incorrectly, but eventually I was able to make a call and fix the situation. I think that happened because I'm in California. The network that Clover runs in doesn't get great service out here so I'm usually on the red with it. They should improved that, though I'm not sure how you can go about doing that. I still think it's a great product, I love it. In all honesty, I went with creditcardprocessing.com and they had you guys as their POS at the time. I was a first time business owner and I was a bit desperate as things were coming together so I just went with it. The system is easy to use. Everything is packaged and organized in different categories, which makes it easier to deal with accounting and bookkeeping. Most of my experiences with them were probably 90% great. I had one girl though that was just real cocky when she was helping me change some of the settings. I mean, she was just doing her job, I get that, but the manner in which she was talking was just very condescending. Other than that, I'd like them to be a bit more clear about some of the charges when you sign a contract with them. They didn't really tell us about two different charges that we got, one was a $199 security charge and the other one was a $100 yearly charge. They should explain that verbally to their customers when you first sign up. That'd make it a lot easier to understand why those charges are being made. I liked the looks of it actually, it seemed easy to use. It has made my job a lot easier and my business works better with it. Every time I call them, they answer any questions that I have right away. I've been using it for 7 years now and I'm very satisfied with it. They always respond to me on time. Right now I'm not a super fan of Clover to be honest. I got it because I wanted to be able to print store credits and gift cards and they offered something that could do that. So far though I've realized that they will charge you extra for any app that might be useful. I also had lot of trouble understanding the support person that I talked to when I called. They should make sure that their people in customer support can speak clear English. Somebody called me about it and I just decided to sing up. Overall it's good. I've only used it once so far, but the system worked well and it was easy to use. I like it. I liked it because the credit card reader gives out paper receipts, but I've run into problems with the machine a lot. I've had occasions when I'm at the farmer's market and the person in the stand next to me will have the same type of clover machine I do, the clover flex. Then all of a sudden I'll lose internet and phone service, but they would still have connection! When that happens I have to go and reboot the machine at very inopportune times. If something is wrong with my machine, they should just replace it. Instead I have to call and speak to 67 different people to see if they can help me fix the problem. The system is very well organized and it's very easy to use. They also always have someone available from customer support if you need them. My brother was the one that recommended to me. I've run into a couple of issues since getting it, but all I've had to do to fix them is call customer support. They solve things right away. They also communicate and follow up with me very well, usually through phone or emails. Clover also just keeps up with technology really well and I think that's great. The device is actually well made, good quality, and it's very easy to use. It has a printer built in and it's a tablet at the same time. It's a nice looking terminal. I don't have any complaints...though it is kind of expensive. I haven't used it quite yet, I just got it. We've been trying to get into it, but I think they've done a good job overall.